terminal blocks, relays, timers, contactors, ...you nameit! finishfaster: the old adage is true - "time is money", but is it possibleto increase your efficiency without cutting corners? the answer isyes, with our high quality tool set. 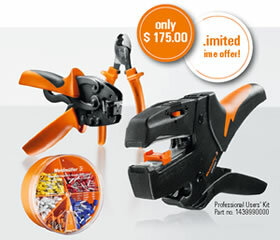 the set includes all you needto prepare your wires for connection in less time, and with lessfatigue. 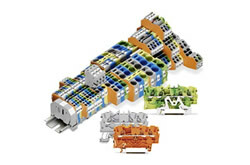 higherprecision: as a connectivity solution provider, weidmuller strivesto provide high quality tools to ensure the best possibleelectrical connections. with precision tools from weidmuller, youwill get a high-quality, consistent result while adhering toimportant industry standards. thisspecial toolkit also includes a ferrule assortment box to getstarted. Copyright © 1999, On-Line Electronics Inc. All rights reserved.